Continuing on with new ways of visualizing earnings information, this week’s charts focus on understanding how detailed earnings line items have changed year-over-year. Starting from Q2 2017 net income, we can track each individual line item of the income statement and how that impacted the net income for Q2 2018. The result provides a unique perspective into the strategies of the U.S. legacy carriers. The short story is that fuel costs have greatly increased for all airlines. Yet, it is how the airlines have been able to manage the increase in fuel costs that proved to be the difference this quarter. Both United and Delta were able to increase ticket revenues beyond the increase in fuel costs, while American struggled. United fared better than Delta in managing ex-fuel expenses as the folks in Atlanta saw expenses increasing across the board. 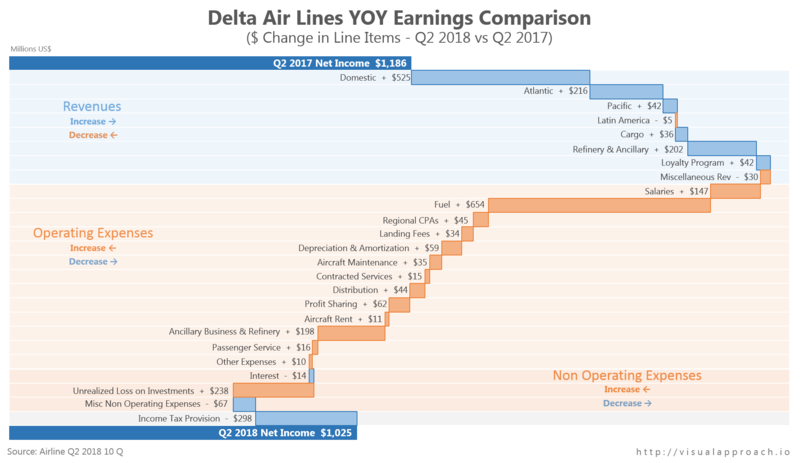 Yet Delta’s ability to continually find new revenues left them with the strongest showing in Q2. Not to be overlooked is the impact the new tax law has had on the bottom lines of each of the large carriers. Over a $900M boost to the net incomes of the legacy carriers compared with their income tax provisions from the same quarter in 2017 is substantial. 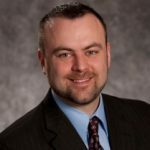 Waterfall charts may offer a bit more complexity compared with some charts we’ve shown, but they do offer a unique perspective. Considering the increase in fuel prices this quarter, the waterfall allows us to see which airlines have been able to overcome the higher costs and how. 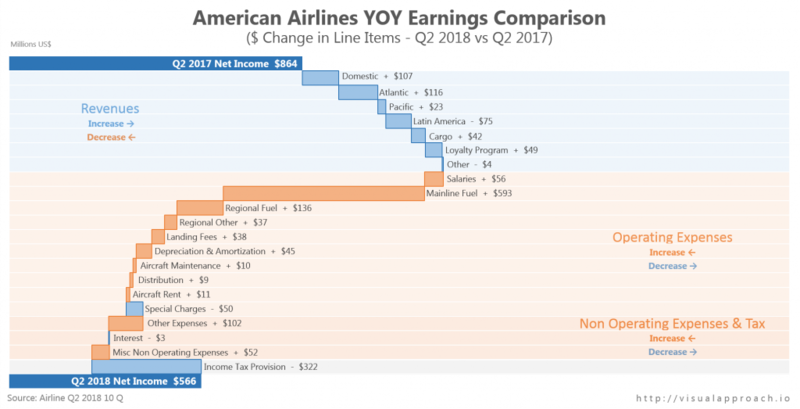 Fuel costs are the easy antagonist to single out, yet it is the airlines who best countered with increased revenues who differentiated themselves in Q2.